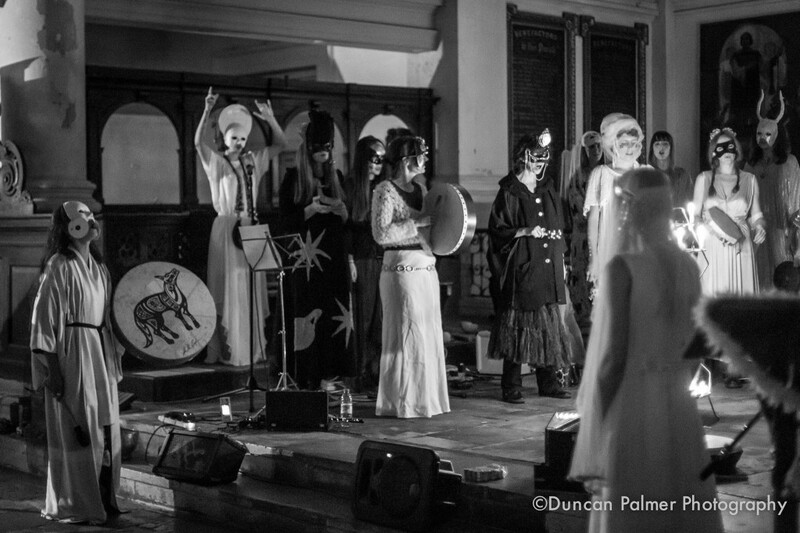 Thirty masked women (including myself) took to the stage for over 1-and-a-half hours on Sunday 27th September 2015 at St Leonard’s Church Shoreditch, London. 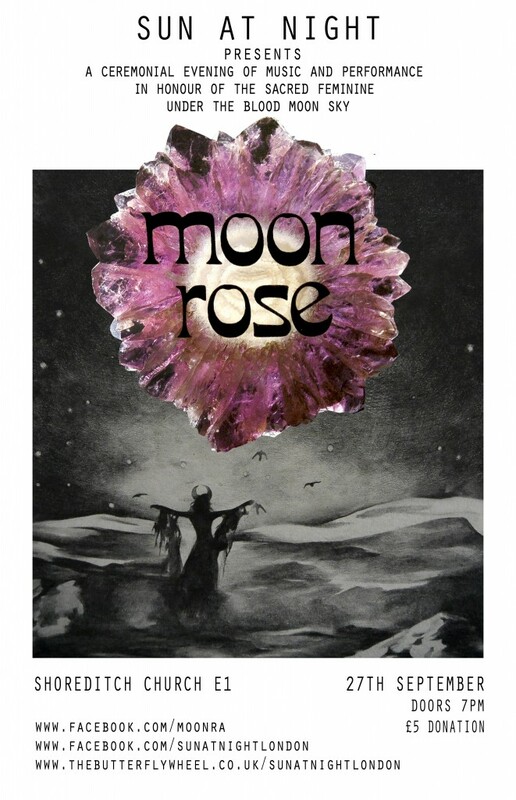 Hosted by The Sun at Night and organised by Moon Ra. singers, violinists, drummers, boran players, flautists, electronics, percussion players, gongs, an oboe, bells, Pianists. The recording will be played on NTS. This entry was posted in News on 11th October, 2015 by Georgina Brett.